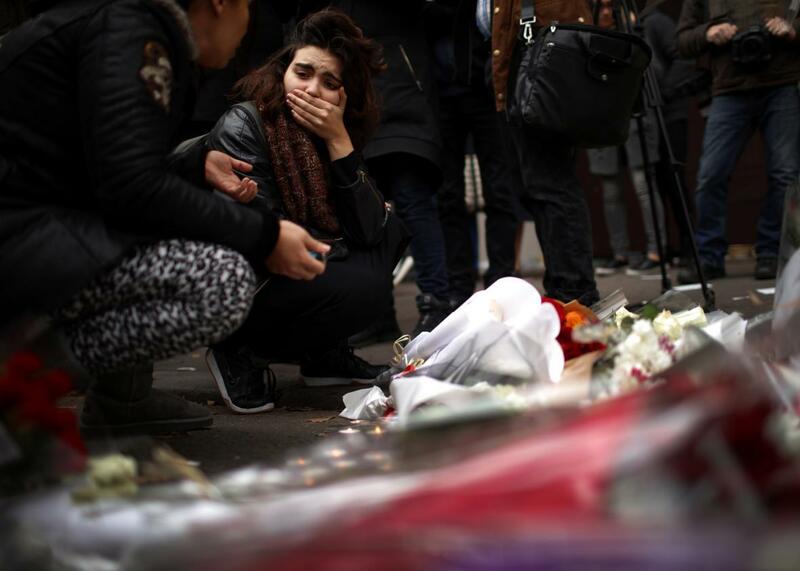 Paris attack: Five things to know about ISIS. What the Paris attack tells us about ISIS—and will the United States be next? A woman places flowers near the Bataclan Theater, one of the sites of Friday’s terrorist attack, on Saturday, Nov. 14, 2015 in Paris. A more complete picture of the horror and carnage in Paris is slowly emerging as officials, police, and eyewitnesses add details about a series of attacks that have killed more than 120 people and injured hundreds more. ISIS has claimed credit—and French and other officials seem to agree. If true, the attack raises many questions about how the group is changing and the vulnerability of the United States and Europe. What does the Paris attack tell us about ISIS? ISIS captured the world’s attention when it surged across Iraq from Syria in 2014, capturing large parts of the country. But in its various incarnations (al-Qaida in Iraq, the Islamic State of Iraq, the Islamic State of Iraq and Syria, and so on) it has been around since 2004, if not before. For more than a decade it has focused first and foremost on its immediate theater of operations, waging a guerrilla and at times conventional war against the Iraqi and Syrian governments, the moderate Syrian opposition, local Kurdish groups, and in particular local Muslims whom it deemed enemies, whether they were religious minorities or individuals suspected of collaborating with enemy governments. Shia Muslims were particularly hated, and Syrian President Bashar Assad’s allies like the Lebanese Hezbollah and the Iranian government are constantly vilified. It often perpetrated terrorist attacks, but these were usually in the context of the broader war, such as attacking police stations. It also launched attacks on Turkey, Saudi Arabia, and other neighboring states to punish them for backing ISIS’s enemies and to excite potential supporters attracted to the group’s sectarian and jihadist messages. Although rhetoric against the West was often bloodcurdling, in practice ISIS confined itself to trying to incite so-called “Lone Wolves” while focusing its resources elsewhere. The Paris attack does not fit this pattern. Although individuals acting in the name of ISIS have tried to execute other attacks in Europe, few have had any real ties to the organization. It’s too soon to say that the latest attack was orchestrated from the top, but its coordinated and relatively sophisticated nature suggests this is more than a few local lone wolves. If so, it would be the first time that ISIS has devoted significant resources to a mass-casualty attack in Europe. There’s been a lot going on with the Islamic State. How do we think about this attack given its other operations? In the last few weeks ISIS has suffered losses on the ground, losing the important Iraqi city of Sinjar to Kurdish forces. Yet it has also been linked to recent mass-casualty suicide attacks in Beirut that killed more than 40 people and probably downed a Russian airliner over Sinai, killing all 224 people aboard. The Lebanon attack fits its traditional model: The attackers struck in Shia-populated areas of Beirut, which is home to the headquarters of the Lebanese Hezbollah, ISIS’s nemesis. But even so the massive nature of the attack is an escalation. The Sinai attacks were a far more dramatic shift and perhaps a harbinger of the Paris attacks. Sinai showed that the Islamic State or its affiliate organizations were expanding operations outside their traditional theaters of operation to go after international targets—particularly high-profile enemies like Russia. Although civil aviation has long been a focus of terrorist groups, until Sinai ISIS had used other methods to strike its enemies. The Paris attack is a painful but logical next step. Lebanon was at the edge of the group’s main theater of operations; Sinai was regional but farther from the main base and against an international target; and France is even farther afield and lacks a local official ISIS presence. If ISIS’s leadership is indeed responsible, it shows it wants to strike its enemies everywhere, not just where the group has the home field advantage. Why is France so hated? Americans often have a dated view of French counterterrorism going back to the 1980s, when France regularly appeased an array of terrorist groups. This changed dramatically in the 1990s, when Algerian groups launched a series of attacks on Paris, compelling France to get tough. Since then France has been a bitter and skilled foe of jihadists worldwide. But hatred of France goes beyond its counterterrorism prowess. France is also an aggressive actor in the Middle East, joining the U.S.–led bombing of ISIS and also intervening on its own. In Mali, France was responsible for routing local jihadists who had seized much of the country. At home, France is also proudly secular. As such, its official policies are hostile to public displays of religion like the veiling of women, and satirical magazines like Charlie Hebdo regularly ridicule religion, including Islam. This mix of aggression, critical free speech, and secularism earns France a special place of hatred among the Islamic State and many jihadists. What does this tell us about Syrian refugees in Europe? Inevitably right-wing parties will argue that inviting Syrian refugees to come to Europe is like inviting criminals into your home. And, inevitably, thugs will use the attacks to brutalize Muslims. Closing Europe’s doors, however, would be a mistake. ISIS wants supporters to come to Iraq and Syria to fight: It is not sending them out disguised as refugees. Indeed, it considers those fleeing its territory to be enemies: They are voting with their feet against living under ISIS’s caliphate, and indeed prefer to live with infidels. It has denounced their flight as “a dangerous major sin.” The true terrorism danger is that the refugees are not cared for or are welcomed briefly in a fit of sympathy and then scorned and repressed. That would transform the refugees from a humanitarian tragedy to a security threat. Will the United States be next? Picking where terrorists will strike next is usually a fool’s game: Terrorists have their grand designs, but they are also highly opportunistic, and much depends on the skill of the intelligence and police services that oppose them. Attacks a decade ago in London, Madrid, and elsewhere were followed by warnings of imminent doom for Europe, but this did not materialize. The United States has seen few attacks since 9/11. Part of this is because the United States has made massive investments in counterterrorism, and the FBI and intelligence services have focused on the Islamic State since it declared itself. We could say the same about France—that jihadists wanted to hit France was no surprise, and French intelligence was on alert—so knowledge and preparation alone are not enough of a solution. But the United States historically has not had a large and restive Muslim population that is hostile to the government: quite the opposite. In addition, far more French Muslims have gone to fight in Syria than have U.S. Muslims. So while both have a problem, America’s is far smaller, and it would be a mistake to extrapolate directly from France’s experience to that of America. Caution is in order. The above judgments and analysis of the attack in general are sure to change as more details become clear. But we need to start learning the lessons of Paris as we think about how to confront this deadly and evolving threat.